To make the pangritata, put the Filippo Berio Olive Oil into a frying pan and add the garlic, rosemary, chilli flakes and breadcrumbs. Stir for 2 minutes over a medium heat until the breadcrumbs are crisp and golden. Season to taste and drain onto kitchen paper and set aside. Meanwhile, cook the pasta in a large pan of boiling salted water and cook for 10 minutes or according to the packet instructions. Cook the broccoli in a pan of boiling salted water for 2-3 minutes or until just tender. Drain the pasta, retaining a little of the pasta water and return the pasta to the pan. Stir in the Filippo Berio Classic Pesto, lemon zest, cooked broccoli and Parmesan cheese. Serve immediately and sprinkle over the pangritata. 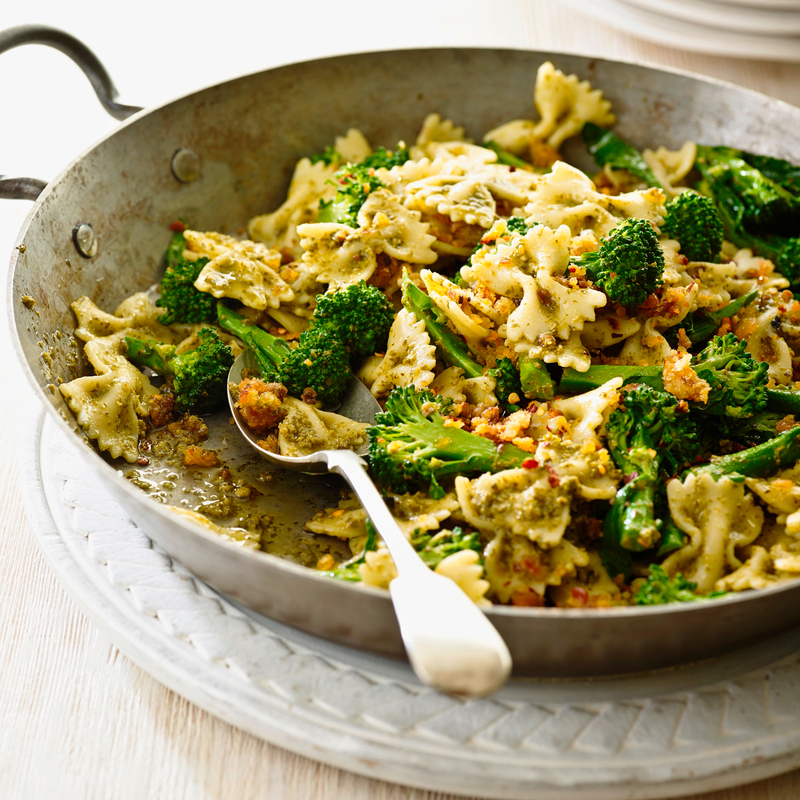 Based on the classic pasta combination of green pesto and broccoli, this recipe is given a really tasty kick with the addition of lemon zest and pangritata! Italian pangritata, or 'poor man's parmesan', is traditionally an aromatic mix of breadcrumbs fried in olive oil with herbs, and is a great way to add flavour and texture to simple pasta dishes.